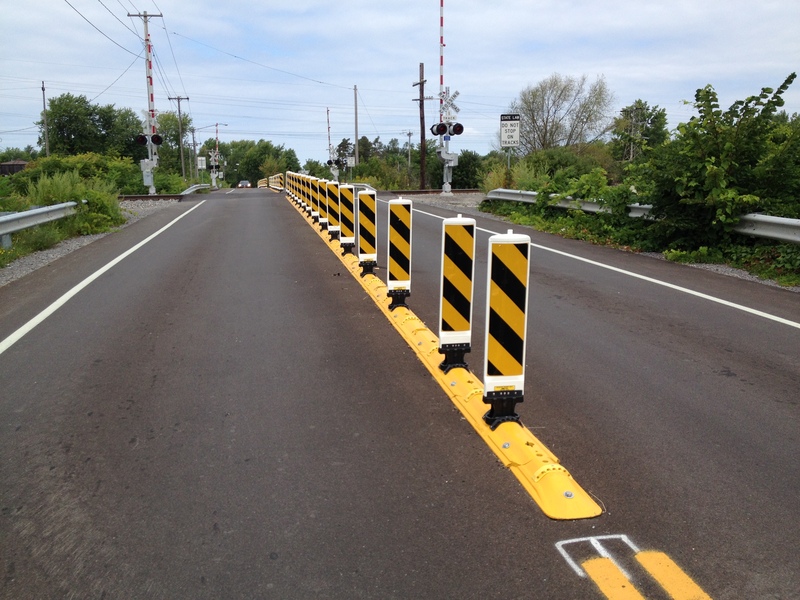 QWICK KURB, INC. is the leading global manufacturer of raised curb channeling systems. 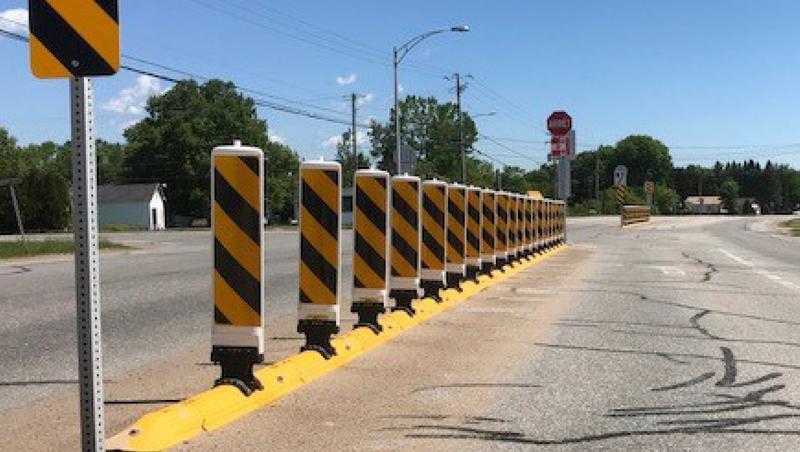 Our systems are effective, low cost, highly durable system that helps traffic engineers achieve optimum compliance with roadway directives. 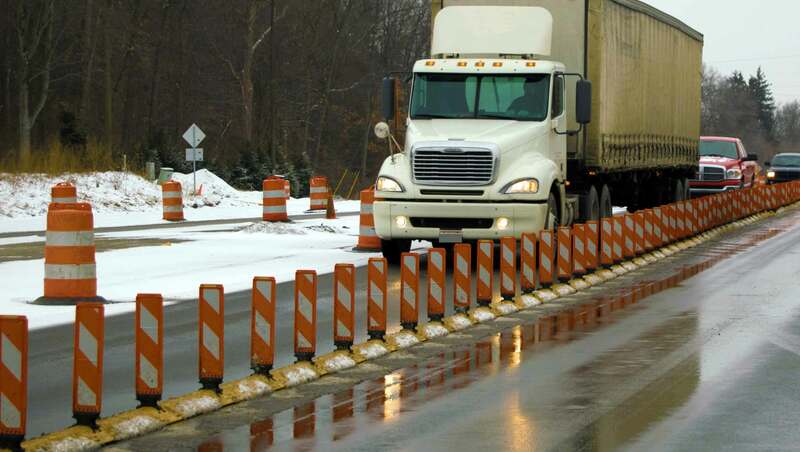 For over twenty years, QWICK KURB INC. has remained focused on engineering raised lane separation systems for the most grueling enviornments. 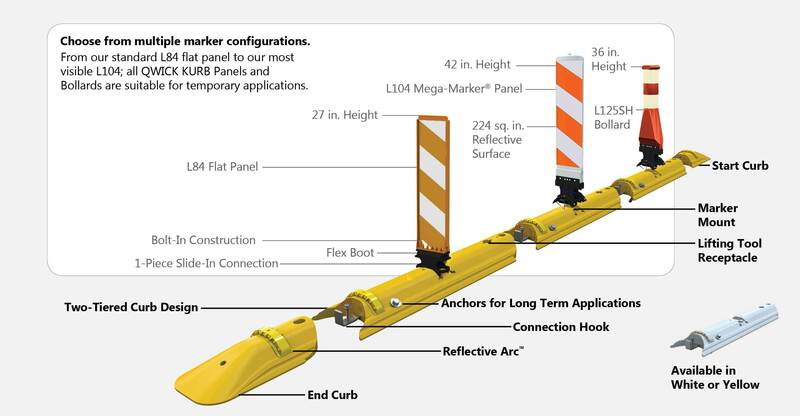 The QWICK KURB® Continuous Curbing Systems are ideal for harsh environments such as work zones and narrow medians. 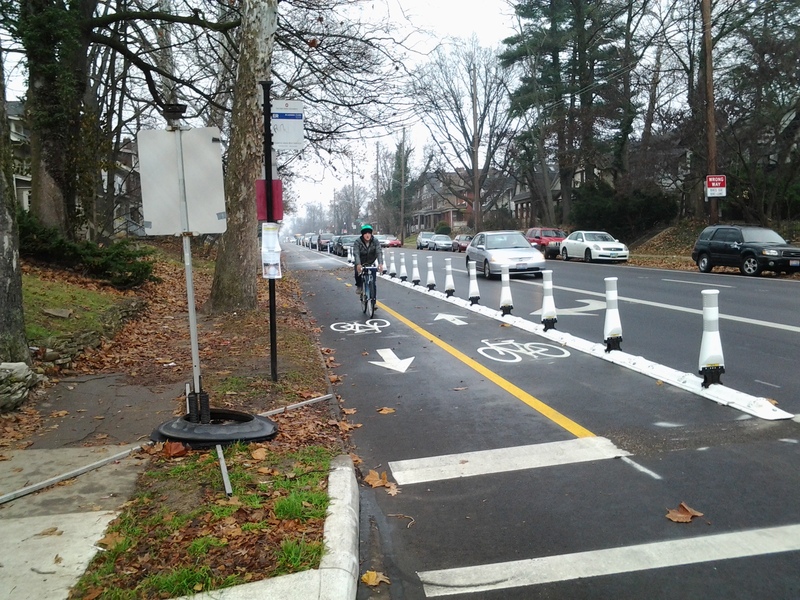 Large formidable delineators on top of a raised continuous curb clearly defines the intended travel path and increase motorist compliance while providing superior channelization in all weather conditions, even snow. QWICK KURB | Engineered to perform. Designed to last. 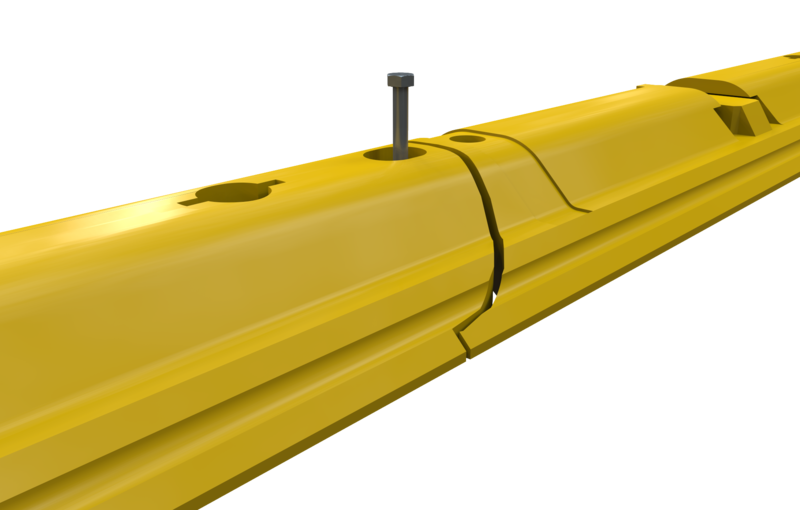 The QWICK KURB System addresses the need for high target vertical elements. 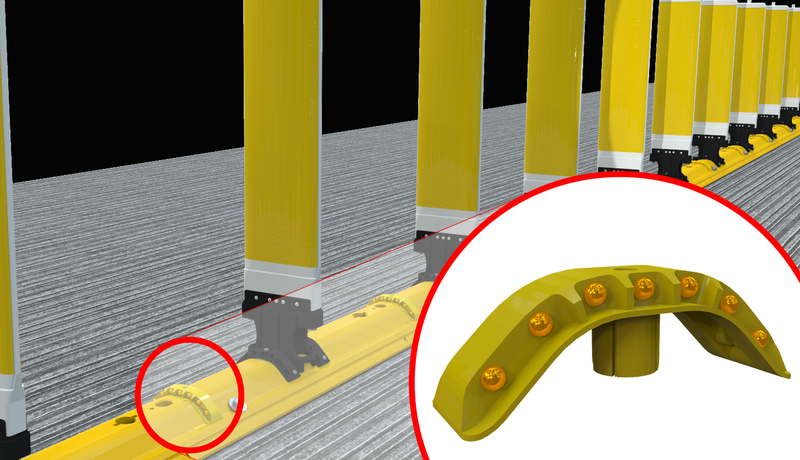 A unique two-part vertical, with rebounding support from a double-walled flex boot, allows installation of large, easy-to-see markers. 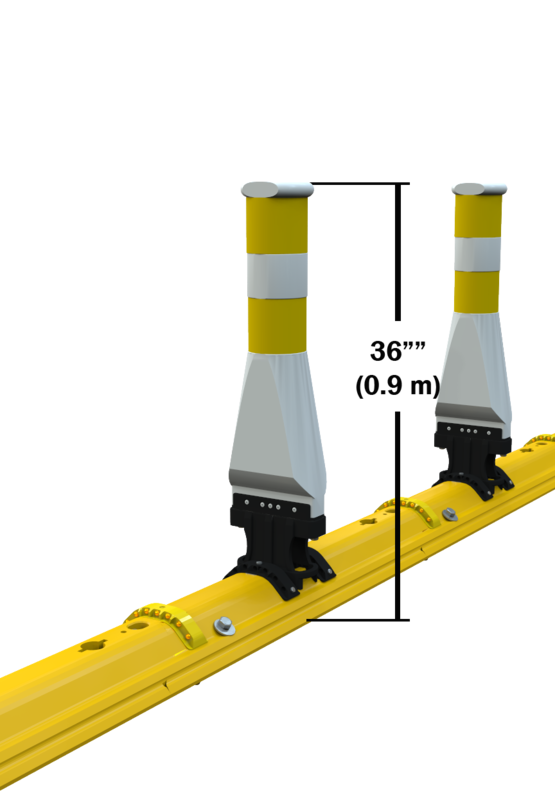 Channelizers are availble in heights from 28" to 43" and can be ordered in panel or bollard form. Can accept over 230 sq. in. 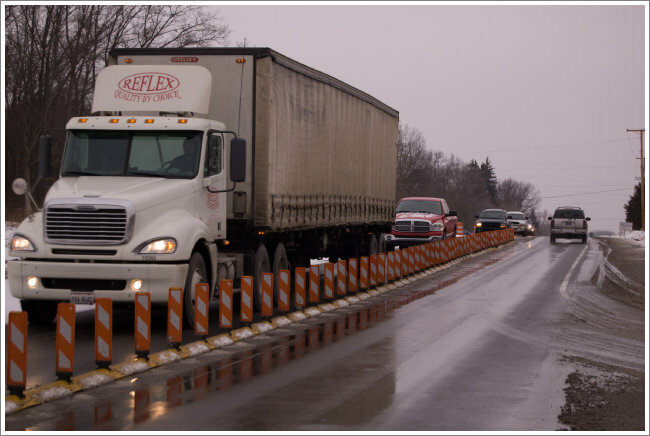 of reflective sheeting per side to achieve even more night time visibility. 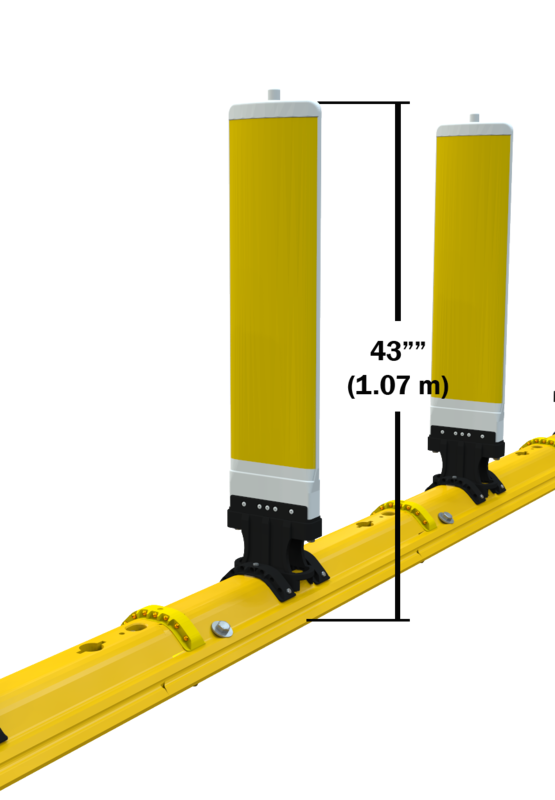 QWICK KURB uses a unique two-tier profile that allows tires to climb, level, and climb again so that they do not rise above the top of the curb. 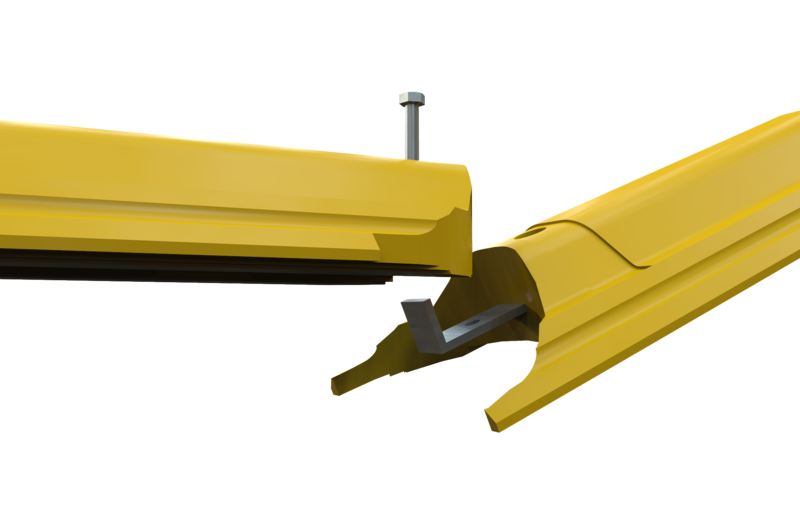 This design also ensures contact with the ground and discourages an errant vehicle from vaulting. 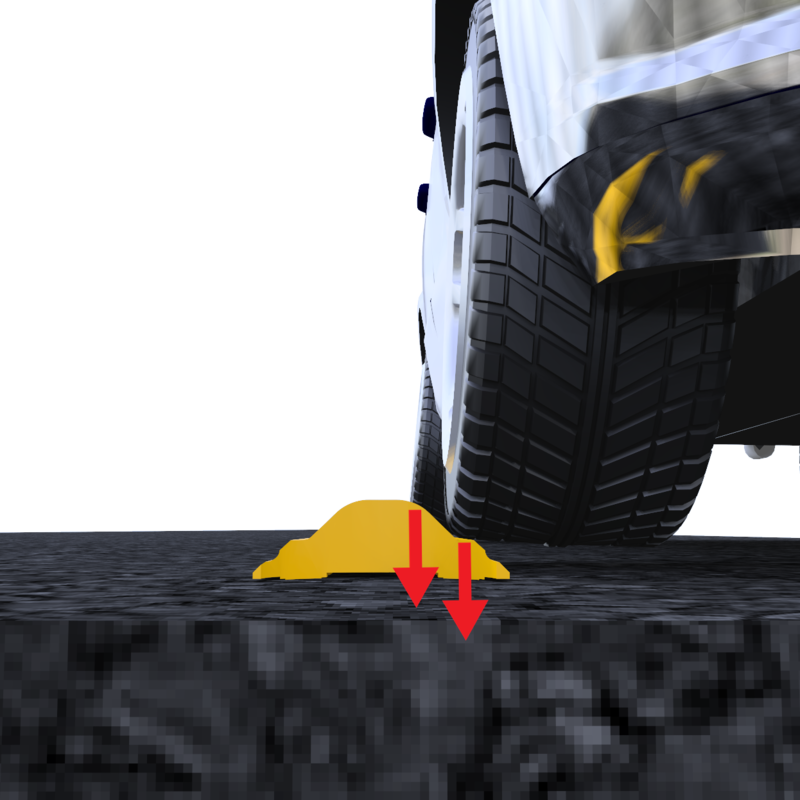 Traffic engineers want motorists to recognize the raised profile of the curb at night as well. 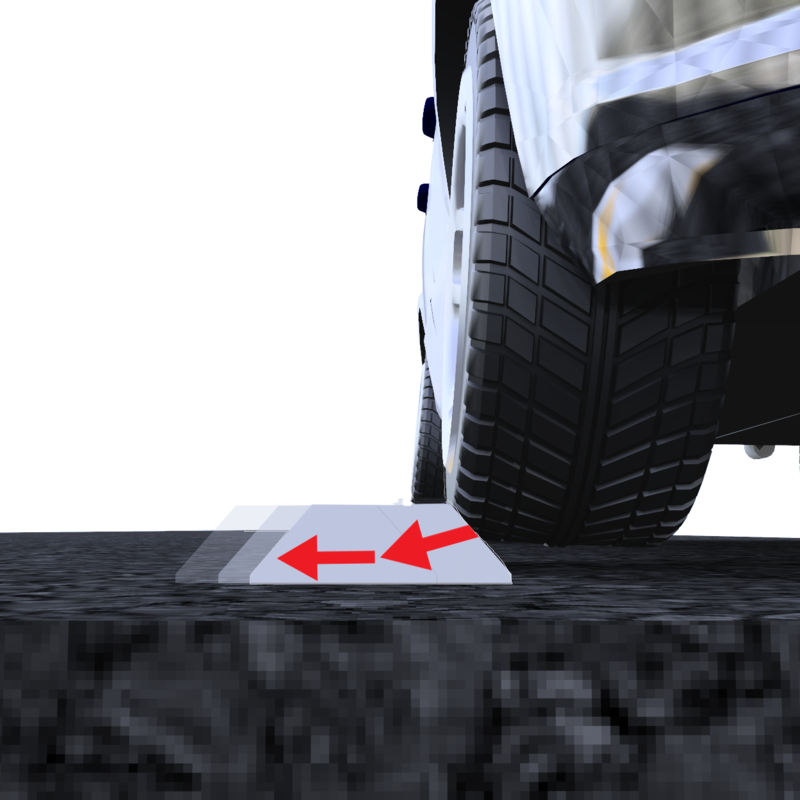 Reflectors attached only on top of the curb would actually mislead motorists to believe that they were seeing a flat surface, so a profiled reflective device was developed and installed at intervals of less than one meter. The seven cat's eye reflectors facing motorists in each arc-shaped device clearly show the raised profile of the curb in the dark. 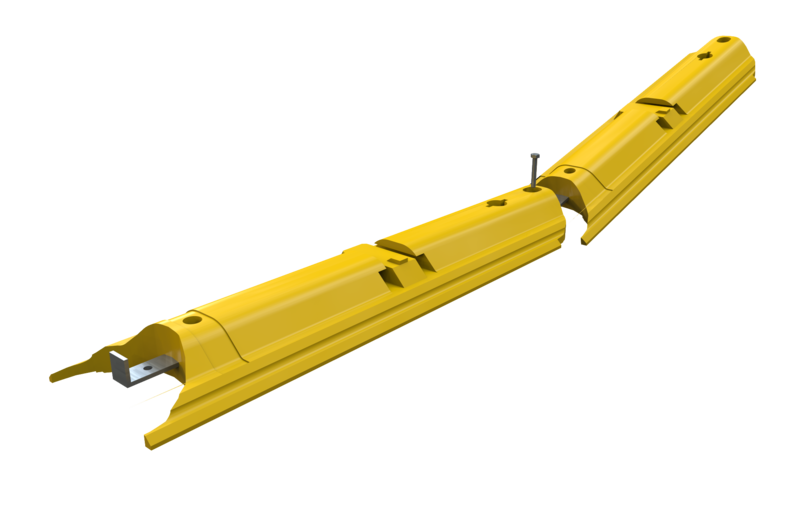 QWICK KURB, the world leader in channelizing curb systems.